It's that time of year again. The time when we all begin to give thanks for our health, our families and the good things that life provides for us. Aaron and Brian know they are extremely lucky to have their own health, as well as their health of their daughters. But not everyone is so lucky. Sometimes children get sick, and more than just the kind of sick that keeps them home from school with the sniffles. The children that have extremely illnesses need the help of outstanding medical facilities like the NC Children's Hospital. Words can't describe the amazing work that the doctors, nurses and administrators at this facility do for both the children and their families. 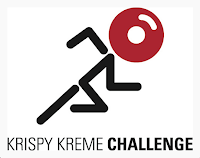 Once again in 2014 (February), we will be running in the Krispy Kreme Challenge, which is not only an incredibly fun event but also serves as an outstanding fundraiser for the NC Children's Hospital. If you life the show, we'd be incredibly appreciative if you'd consider making a donation on behalf of Team Cloudcast. In 2013 we raised $4300, and in 2014 we have a goal of $5000. With your help, we can exceed those goals and make an even bigger difference in 2014. And if you're in the US, donations are tax deductible. On behalf of Team Cloudcast, we want to thank you in advance for your generosity and support. As much as we love giving back to our industry with the latest Cloud Computing trends, this event is far and away the most important thing we do each year. Collectively, if we're able to make even a small difference for an sick child or their family, then that's a real game-changer!